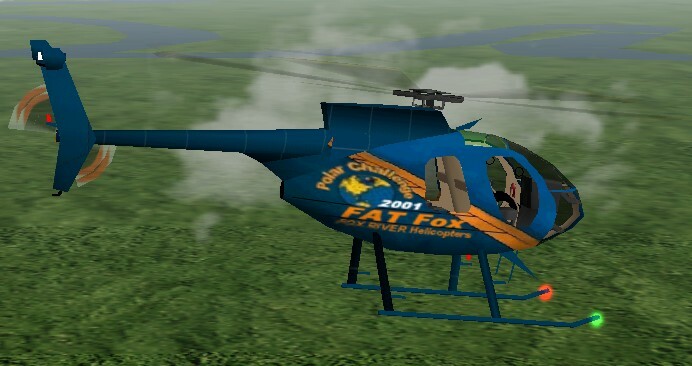 On 1 July 2001 at 0701 Zulu, the "Fat Fox" landed in Point Cook Australia and completed the FIRST hand flown, pole-to-pole flight of a single pilot, single engine helicopter in simulation. It may also be the first ever circumnavigation of the globe from pole-to-pole by a helicopter in real life or in simulation. This mission is dedicated to Vanda, my most patient and understanding wife, without who's support this mission would have never have happened much less been completed. 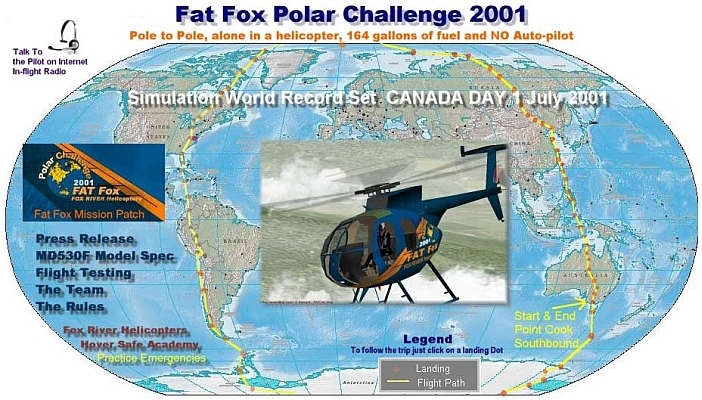 To our knowledge prior to 2001 no one has ever attempted or completed a pole-to-pole solo flight in a single engine, single pilot, helicopter, either in real life or simulated. The only known records in real life flying are two pilots flying Bell 206 and Bell430 twin engine helicopters. 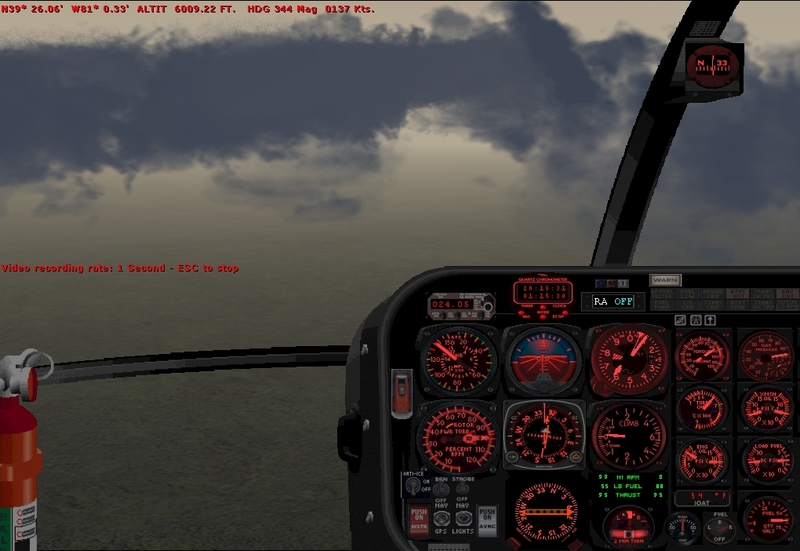 This record is simulated flying and focuses on planning and single pilot flying skills. Microsoft FS2000 scenery was a pretty crude capability compared to today, but watching it all go by gives you a real sense of the size of the earth. Every flight was logged by email with actual weather, in-flight radio comm using early VOIP and photos from each leg. FS2000 was pretty good for the day but nothing like can be done today with current computer and display technology. We've come a long way in realism.